We can offer information and advice to help you decide on the best course to meet your needs. 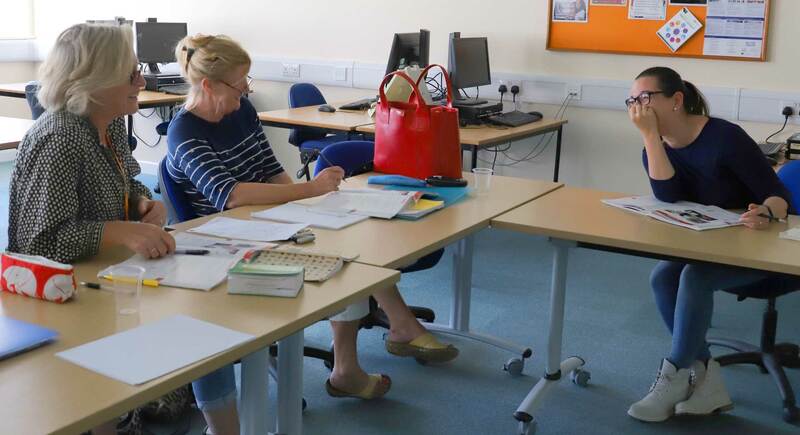 Our friendly enrolment team can talk to you about where and when our courses are delivered, or pass on your details to a course leader, who will contact you to discuss what we can offer. Tutors can also give more in-depth information about individual courses, by phone or email. If you need more in-depth advice, our Information, Advice & Guidance Officer, Rose, can have an informal chat with you to look at your short term goals. Call 01572 758147 to make an appointment. If you need a long-term plan, or advice about funding and courses from other providers, she may refer you to a local advisor for the National Careers Service. You may be offered an in-depth, confidential interview by this free service, in order to plan a course of action to get you to where you want to be. Click on the logo to find out more about the service, or to sign up for a Lifelong Learning Account. A Lifelong Learning Account is a free online service offering you greater flexibility and choice in developing your skills. It is personal to you, tailored to match your circumstances and needs, helping you to organise your learning and career.